1. 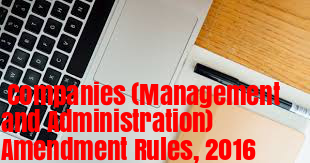 (1) These rules may be called the Companies (Management and Administration) Amendment Rules, 2016. 9. In the principal rules, for Form MGT-6, shall be substituted.